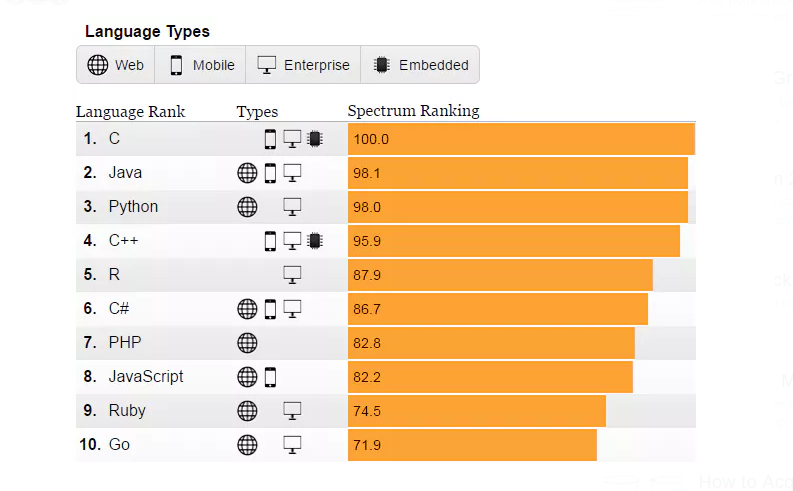 That’s why having seen how in-demand software and web developers are, you're probably wondering how this high demand translates into dollars. 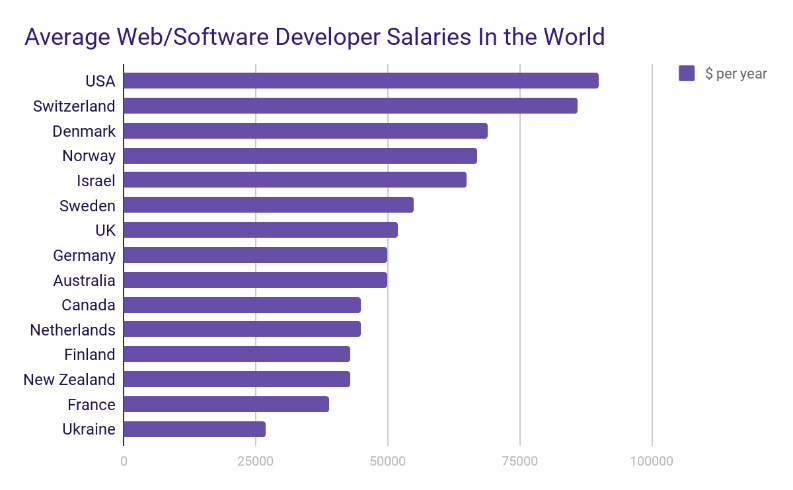 According to the PayScale statistic devoted to the average salary of web developers in the world, the graph below shows that the average web/software developer salary in the United States is the highest globally, at around $90K. 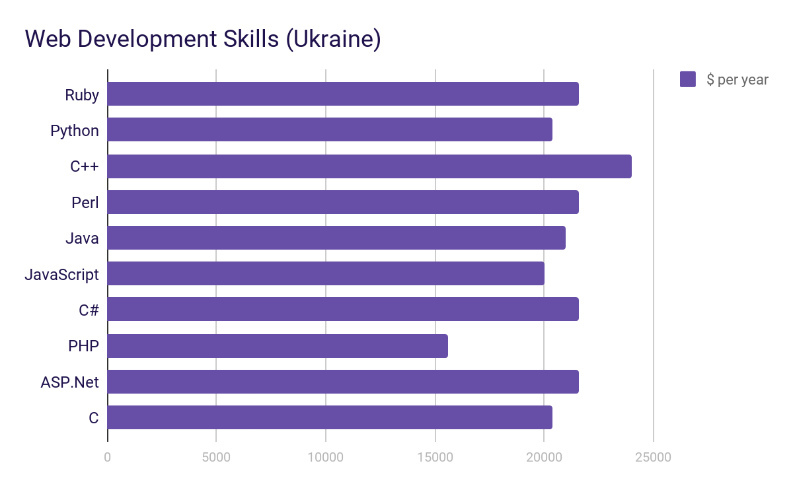 Meanwhile, Ukrainian web/software developers command salaries almost three times lower than those of their American peers — around $27K per year (according to Ukrainian web portal DOU statistic). 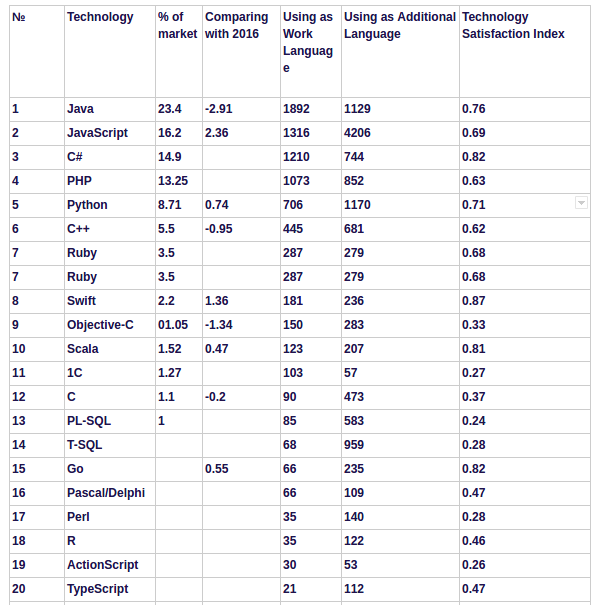 What Are the Most Popular Programming Languages in 2016–2017? Actually, there are more factors influenced on the costs. 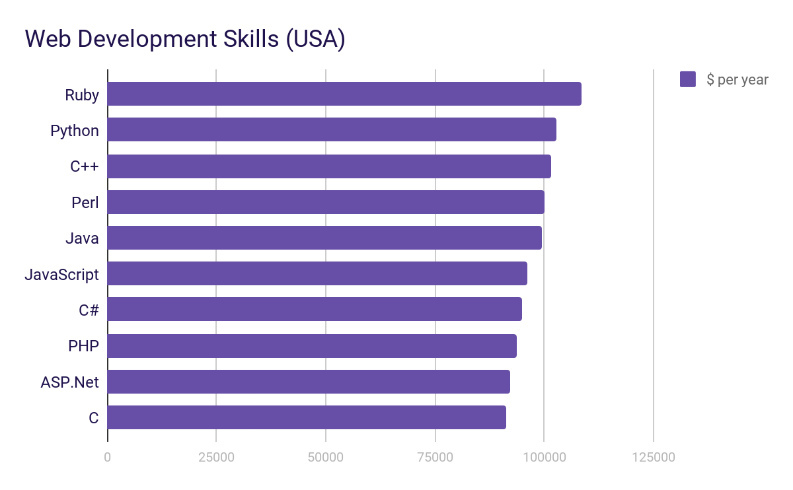 As a well-established web development agency, we have a great work experience with customers from the USA, Europe, and Australia. So, our team’s advice is to consider if the enticement of saving a few dollars is worth the inherent risk in trying to find a cheap but competent developer.